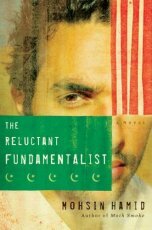 At a cafe table in Lahore, a bearded Pakistani man converses with an uneasy American stranger. As dusk deepens to night, he begins the tale that has brought them to this fateful meeting . . .
Changez is living an immigrant's dream of America. At the top of his class at Princeton, he is snapped up by the elite "valuation" firm of Underwood Samson. He thrives on the energy of New York, and his infatuation with elegant, beautiful Erica promises entry into Manhattan society at the same exalted level once occupied by his own family back in Lahore.